A complete installation of the electrical systems required in a new bathroom in Stanford-le-Hope, Thurrock. 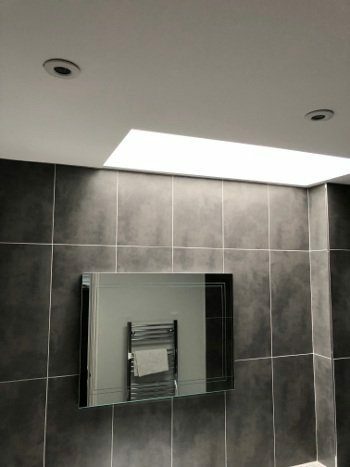 The bathroom had undergone a substantial refurbishment and Leigh Electrical were contracted to supply the electrical systems that the bathroom required. This involved the fitting of the ventilation and lighting and all of it installed in a manner that complimented the new modern design of the bathroom. 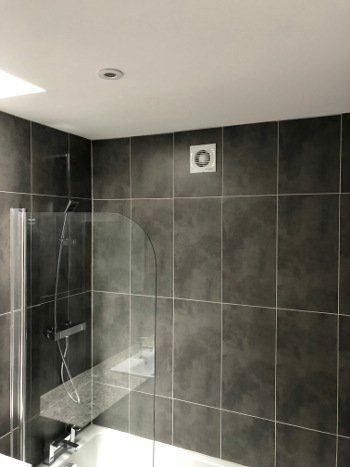 The installation was completed over the course of two weeks working closely with the tilers and others tradesmen working on the bathroom refurbishment. 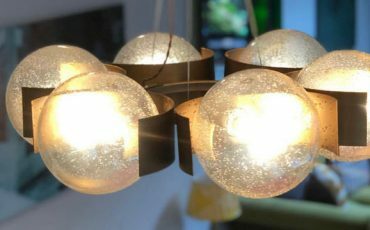 With over 50 years experience in performing a wide variety of domestic electrical installations in and around Stanford, Thurrock and the wider Essex area. Leigh Electrical can help to schedule larger scale works such as these as we are often the first and last trades involved. 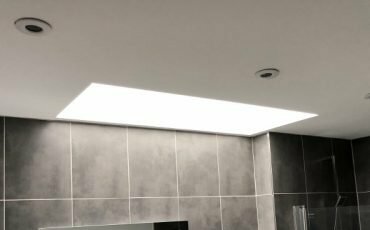 For more information regarding our bathroom lighting and ventilation installation service, please submit a contact form below or contact us directly on 01702 873350. Leigh Electrical hold full NICEIC accreditation, the highest standard of electrician accreditation in the UK and as such all of our work is covered under the NICEIC Platinum Promise 6 Year Guarantee. We have successfully completed the installation of hundreds of bathrooms lights and fan systems. The value and quality of the service we provide has been widely reviewed by hundreds of previous customers on Checkatrade, Yell and Trustatrader. We have recently been awarded the coveted 250 and 500 confirmed review certificates by both Checkatrade and Trustatrader respectively. 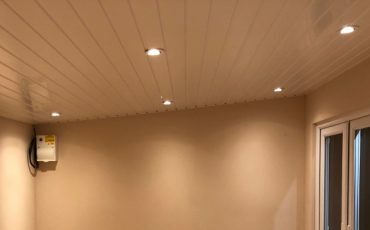 A wide selection of previous works completed by Leigh Electrical in and around Stanford and Thurrock are free to view here on our projects page. All of the work we complete is done so to an outstanding finish and compliant with Part P of the building regulations. For more information regarding the service which we offer, please call our team on 01702 873350, who will be glad to assist and book in a free no obligation site survey at a time convenient to you. Our teams of electricians operate 7 days a week including evenings for quotes and fitting in Stanford-le-Hope and the wider Thurrock area. Leigh Electrical are a second generation, family owned and run business. We pride ourselves on our hard earned reputation for quality electrical services performed over the last 50 years. We are always happy to offer assistance and advice to our customers, no matter what electrical issues they may be facing. We offer daytime & evening appointments, 7 days a week and out of hours emergency call out service for severe problems. Leigh Electrical offer a wide variety of payment options for our customers. We currently accept payment via major Credit & Debit Cards, Bank Transfer, Paypal, Cheque & Cash. Please advise of your preferred payment method when speaking to our team so we can ensure we have the adequate information and equipment to process your payment. Complete electrical installation in Stanford-le-Hope bathroom. New spotlights and extraction fans fitted. For more information or to obtain a free quote or estimate for your bathroom electrical work, please call Leigh Electrical on 01702 873350.